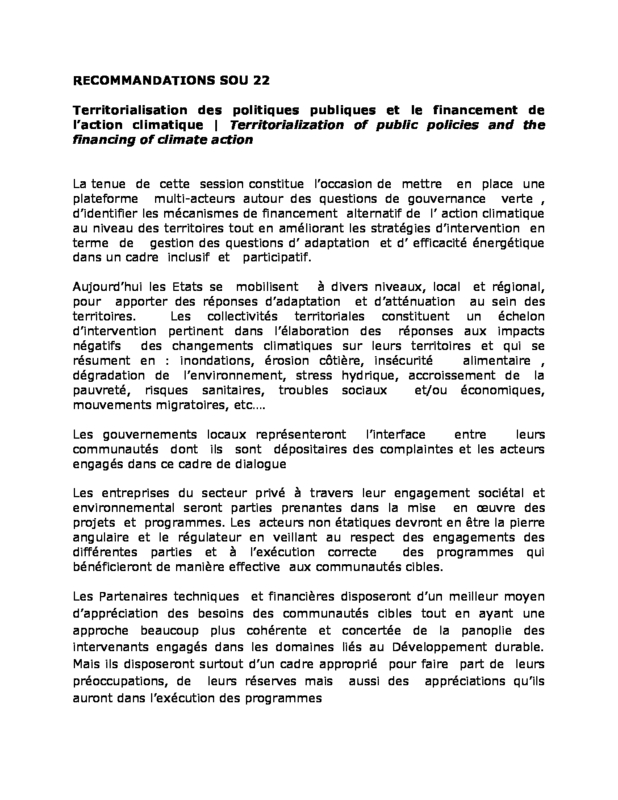 The present initiative of ENDA, the Union of Associations of Locally Elected Representatives and the Sunflower Association to organize, within the framework of the 8th edition of the Africities Summit scheduled for November 2018 in Marrakech, this session is a desire to set up a multi-stakeholder platform for a dialogue on the vulnerability to climate change of natural, social and economic systems of local authorities in Senegal and Africa. This approach appears to be the first real initiative of its kind undertaken by non-state actors at the regional level on sustainable development issues as a whole. The resulting dynamic should be both unifying and integrating and, above all, replicable by other actors, other countries in the sub-region. So far, initiatives have been launched here and there, almost everywhere, without there being a real desire on the part of all concerned to create a multi-stakeholder framework that will allow for exchanges on the different experiences and the aggregation of all the results obtained in order to move towards a common platform for the capitalisation of experiences but also for projections and positioning in relation to the various existing financing mechanisms at the sub-regional and global level. The session, which will bring together different stakeholders, will make it possible to establish a concrete partnership between local elected officials, the Private Sector, Technical and Financial Partners and Non-State Actors by integrating the impacts of climate change at the heart of economic growth forecasts. Key development sectors will be prioritized, including Sustainable Tourism, Sustainable Housing, Fisheries, Agriculture, Livestock and Impacts on Health, Nutrition and Food Security. All this taking into account the institutional framework of national policies. Kassoum Coulibaly is a motivated and committed global leader and social entrepreneur for global economic progress, peace and universal security, environmental protection and the environment of the United Nations Sustainable Development Goals (SDGs) and the African Union's 2063 Agenda. 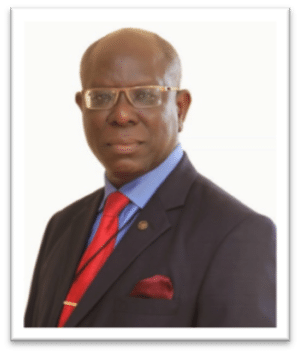 As a researcher, trainer, communicator, speaker, consultant, facilitator, coach and international mentor, he has become diverse in Africa and around the world. He has worked with several international organizations such as CONFEJES, UNESCO, UNDP, UNV, UNCTAD, UNIDO, CECI, and ... Since 2015, Kassoum Coulibaly has received the distinction of "World Champion and Mentor for Women's Economic Empowerment (WEE)" from UN Women. And he is the Founder, President and CEO of the Global Institute for Women Empowerment Group (IMAF Group) active in more than 33 countries in Africa, Europe, America, Middle East, Asia and Oceania (www.giwegroup.org / fr). Kassoum Coulibaly graduated in Economics, Management, Human Rights and Strategy from the University of Bouaké (Ivory Coast), University of Bamako (Mali), University of Johannesburg (South Africa), University of Pretoria (South Africa) and Henry Dunant University Center (Switzerland). 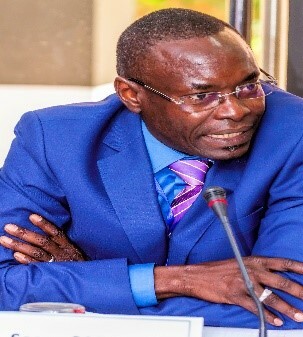 The session, which will bring together different stakeholders, will make it possible to establish a concrete partnership between local elected officials, the Private Sector, Technical and Financial Partners and Non-State Actors by integrating the impacts of climate change at the heart of economic growth forecasts. Key development sectors will be prioritized, including Sustainable Tourism, Sustainable Housing, Fisheries, Agriculture, Livestock and Impacts on Health, Nutrition and Food Security. All this taking into account the institutional framework of national policies.